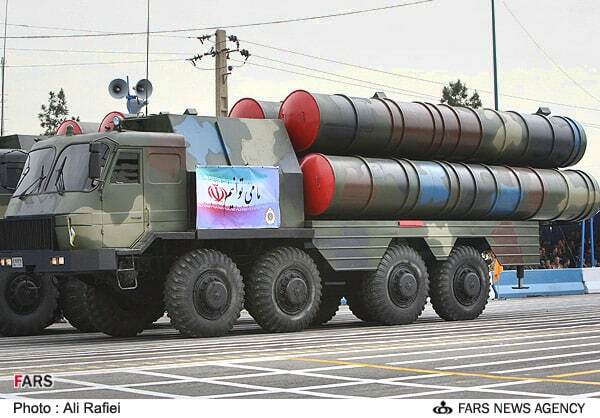 During the military parade on Army Day in Iran, what looks very much like an Iranian variant of the Russian S-300 air defense system was on display. In 2007, Tehran announced that it signed a contract to buy S-300 from Russia, but Moscow, lobbied by Washington and Tel Aviv, has not delivered, citing “technical problems.” From Moscow’s point of view, S-300, as long as it remains in contract but undelivered, is, like the Bushehr nuclear reactor, a great bargaining chip vis-à-vis the West, which Tehran can see. In February this year, it was reported that Air Force commander Heshmatollah Kassiri said “a new domestically-made air defense system” would be unveiled “in the near future.” What is seen in the video and the photograph above is probably just that. The question is whether Iran can make it “as powerful as the S-300 system,” as Mr. Kassiri asserted it would be.